He writes he is well and keeps the faith that he will see them again. 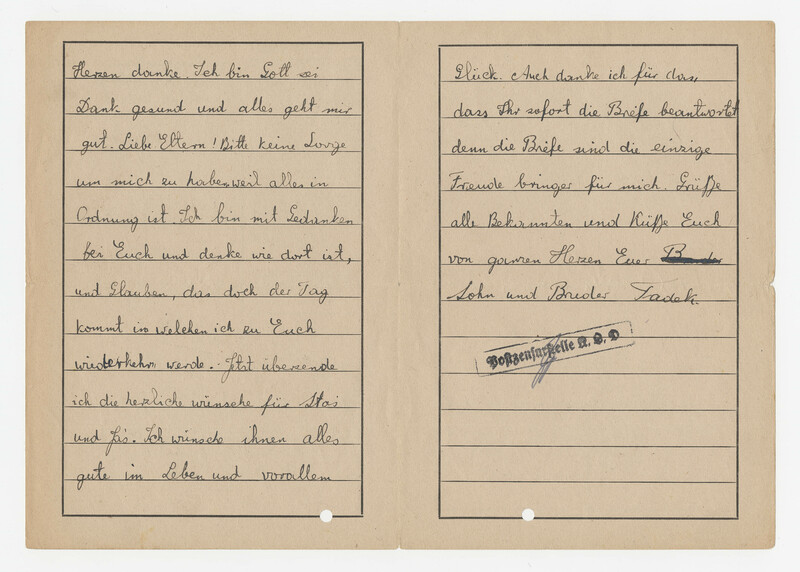 In his database, Lordahl lists a letter from the inmate (16 February 1941) and a much later letter (8 October 1944). 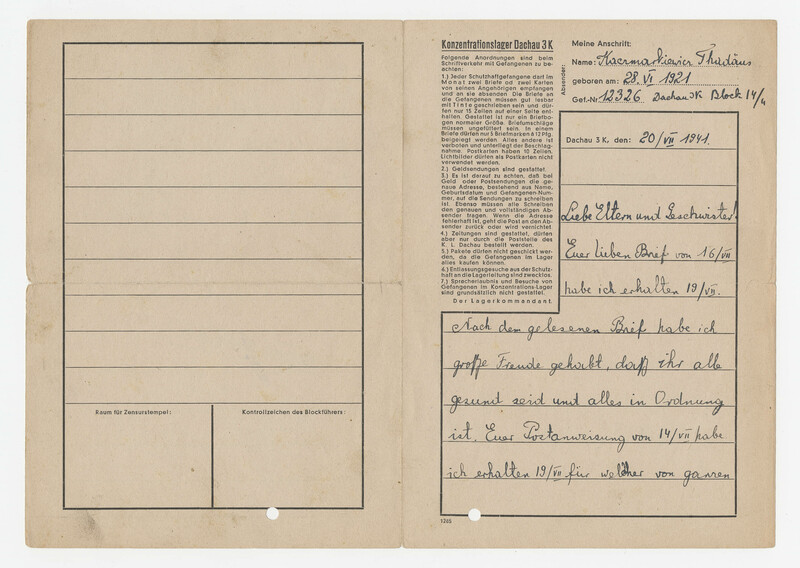 It seems that this inmate spent most of the war in Dachau. Since there are no envelopes, the recipient is unknown. Rooms 4, 3 and 2.